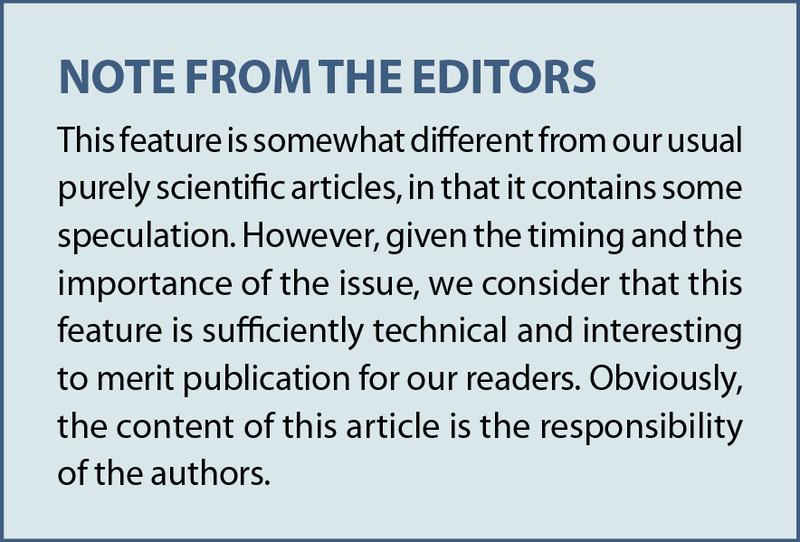 We discussed the article briefly, mostly dismissing it because it is not a scientific study, nor is it by four physicists, and its conclusions do not follow from the evidence. The authors start by noting that the (US) National Institute of Standards and Technology, NIST, launched its investigation in 2002. They claim that NIST stated its premise that the WTC towers were the only known cases of total structural collapse where fires played a significant role. The authors continue to explain why steel-framed high-rises have endured large fires. While interesting, they continue by re-stating that countless other steel-framed high-rises have not suffered total collapse due to fires, citing the above source. As you see, the source does not seem to back this up. The applied trick seems to be in the wording, as the above quote is about collapsing multi-story buildings, but the authors are only speaking of "steel-framed high-rise" buildings. Steel-framed seems to indicate a building technique (for e.g. skyscrapers) and high-rise is a tall building used as residential or office building. However, this is not very strong. 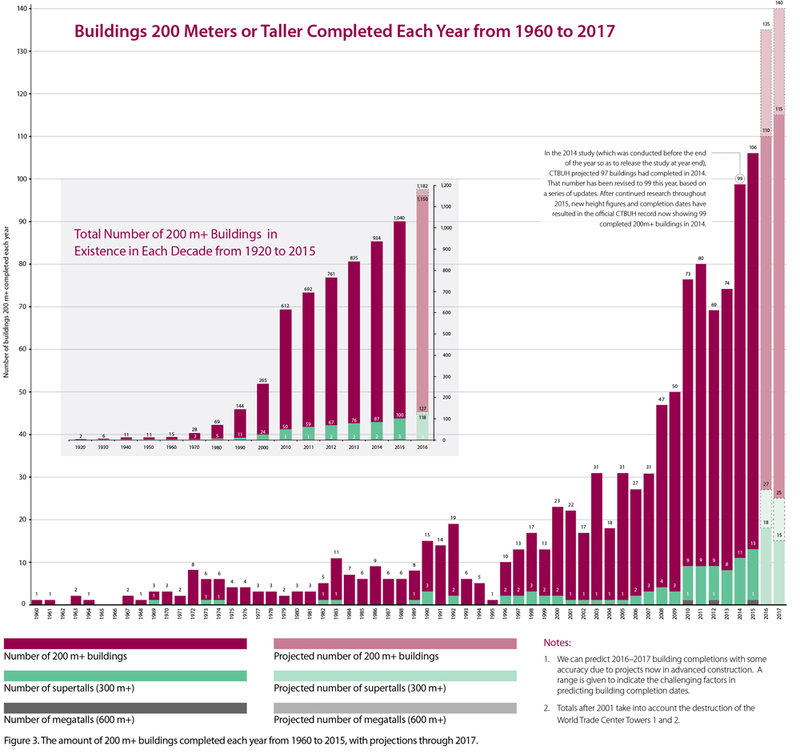 The reason being that the number of buildings that fit their criteria are about 30 in 1970, 60 in 1980 and about 280 in 2001. As they have just explained, fires typically are not hot enough or last long enough to heat structural members, fire-suppression systems are present, they have fireproofing materials and they are designed to be redundant. So, about 260 buildings existed for some time before 2001; the problem is data bias. You are selecting buildings that are both well-protected and rare. Of course you did not find collapses in this very small selection. They banter on a bit about how strong the materials are, but then point out that the head structural engineer, John Skilling, explained that the towers had been designed specifically to withstand the impact of a jetliner. While he did state that his people did a calculation showing they could withstand the impact (Seattle Times), it is not clear that this was in the design phase. More importantly, that is the structural damage due to impact. The issue, as various investigations concluded, is that the long-lasting fire with jet fuel added to it caused the material properties of the structure to deteriorate. And now, they attempt to make Skilling say things he did not. The authors state that "In other words, Skilling believed the only mechanism that could bring down the Twin Towers was controlled demolition.". That's false. Skilling stated that he did not think a 200-pound car bomb would cause major damage, because of design redundancy. However, he thought that properly applied explosives of that magnitude could do it, such as done by the top demolition expert. That does not imply this is the only mechanism, merely that with a fixed amount (200 pound) of explosives, an expert could do it. The authors continue to explain thermite demolition, where thermite charges are used to cut the support columns. You cut only on one floor, call it floor C. The floors above C collapse down onto C, crushing the columns that support floor C. The entire building thus collapses down, with each new floor taken up into the 'hammer' made of previously collapsed floors. A slightly more sophisticated method works from the inside-out, so that the collapse moves inward and downward, confining the debris. While reading that explanation of thermite demolition, the first thing I thought is that a building with many support columns and a sufficiently hot fire would automatically collapse in the sophisticated manner. The reason being that a wide-spread fire is hotter near the centre, so those columns are the first to collapse. This puts more stress on slightly more outward columns, which thus collapse at a lower temperature, and so on. roofline as WTC 7 began to collapse. Now, in addition to showing the badly made Figure 2, the authors refer to the NIST report (NIST final). They claim the building dropped in "absolute free fall for the first 2.25 seconds of its descent" and that the stasis-free fall transition was "sudden, occurring in approximately one-half second". 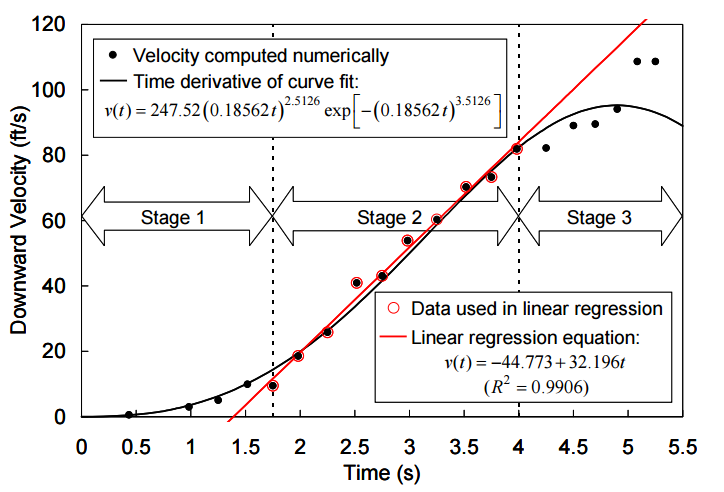 The cited NIST report whose Figure is reproduced on the right, however, says that the stage I descent was slow and lasted about 1.75 seconds, followed by the free-fall stage 2 descent lasting about 2.25 seconds and the final stage lasted another 1.4 seconds. Clearly, they disagree with their cited source. What is also important is that this is a video measurement of the downward displacement of a point near the centre of the roofline. It is not about the entire collapse; videos taken from different angles show that the collapse started earlier, with the East penthouse collapsing, putting the total collapse at 16 seconds or so (TCH video). This video correlates with Table 3-1 in the final report of NIST. The NIST report is really rather clear, with the leading hypothesis clearly attributing the collapse of WTC 7 to fires. The fires resulted in a loss of lateral support and the (critical) columns started buckling. The initial local failure progressed up to the east penthouse, as shown in the above video. 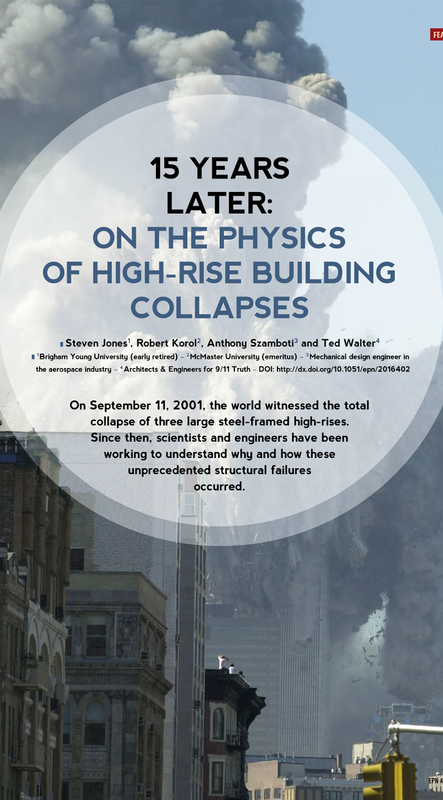 The combined loss of lateral support and damage due to falling debris led to progression of the failure, ultimately resulting in the collapse of the entire structure. What is actually quite interesting is that NIST expended considerable effort to compile evidence and determine whether intentionally set explosives might have caused the collapse. Numerous scenarios were investigated, but the lack of breaking windows and sound levels broadcasted by these explosions means this hypothesis lacks confirmation of any kind. Therefore, they concluded that there was no demolition-type blast that would have been intense enough to lead to the collapse. "Given the nature of the collapse, any investigation adhering to the scientific method should have seriously considered the controlled demolition hypothesis, if not started with it. Instead, NIST (as well as the FEMA, which conducted a preliminary study prior to the NIST investigation), began with the predetermined conclusion that the collapse was caused by fires. I've described the developed Leading Hypothesis before. And, we've just discussed the hypothetical blast scenarios. Quite clearly, the investigation adhered to the scientific method and has seriously considered the controlled demolition hypothesis. They have neglected to read sources they cite. The authors claim that the NIST final report provides "an elaborate scenario involving an unprecedented failure mechanism", meaning that the fires weakened the lateral support allowing for buckling. The authors claim that the NIST was able to arrive at this scenario only by omission or misrepresentation, citing a pseudo journal as support for this allegation. The authors then claim that the NIST computer model fails to replicate the collapse, showing a metal-frame model under a very odd angle. If you look at the video material for WTC 7 (e.g. here), you see that various fault lines are clear in the exterior of the structure when it collapses. The "large deformations to the exterior" are observable, especially if you show the video in slow motion. The thing is, the clearest deformations, buckling near the bottom of the structure, are not observed in the video because other buildings block the view. The authors move on to consider the Twin towers. They claim that the definite report by NIST does not contain analysis of why the lower sections fail to slow the descent of the upper sections. They cite an engineering mechanics paper and the Questions and Answers (here) regarding WTC 1&2. This strikes me as exceedingly odd, as the NIST NCSTAR 1-6 report concerned this topic. Here, "Insights gained from .. were used, in turn, to formulate and execute nonlinear, temperature-dependent finite element analyses of global structural systems to predict the collapse sequence of each tower. The structural analyses were guided, and where possible validated, by observations..". This quote is from the abstract. It seems that the authors are cherry picking a source that fits their story, rather than using the report concerning the topic under consideration. They also complain that NIST could not provide the full explanation because the computer models did not converge. What this means is that several models, each taking into account or detailing different aspects of a non-linear system, did not converge on a singular solution. What it does not mean is that they are all wrong; the combined systems provide you with a envelope inside which the observations fall. 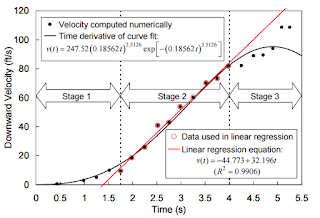 Non-linear systems are notoriously hard to work with, and often do not converge. A very limiting factor is the available computational power, which was far less when these investigations happened. The authors then misrepresent partial sentences to make the NIST seem incapable. 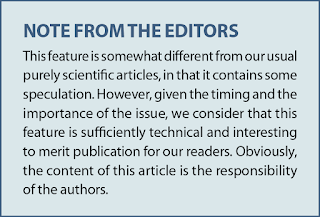 The authors make it seem that NIST cite a paper rather than not investigating the issue themselves. This condemnable misrepresentation by the authors is very revealing, in that they truly want to present a story despite the evidence. The quotes are found in section 9.4.4 "Comparison with other collapse hypotheses". It is in this setting that they cite the 2002 paper by Bazant and Zhou, and find it agrees with their hypothesis. They then cite the pseudo journal again, claiming "researchers" have found that the Bazant paper was wrong. The authors wrap it up with overestimating the significance of "puffs of smoke", which sounds remarkably like dust expelled during the collapse from small structural fractures. They also wonder why the segment that fell into the interior of the building (e.g. the penthouse) is not visible within the rest of the videos. This is easily explained by their own explanation of how interior-first deterioration of support columns causes the building to fall inward. The authors continue their rant, for instance claiming that molten aluminum has a silvery appearance. While it is true that most metals in their liquid phase appear like metals, we also know of many metals that glow red hot at some point. The same is true for aluminum (e.g. video). As temperatures reached about a thousand degrees Celsius (NIST), an aluminum has a melting point of 660 degrees Celsius. At a thousand degrees, it will glow red hot - just like a light bulb. The mechanism is called black-body radiation (discovered by Planck, and part of a number of anomalies in 19th century physics that led to the discovery of quantum physics and the modern electronics of today). It bears repeating that fires have caused the total collapse of multi-story buildings before and since 9/11. Did we witness an unprecedented event on september 11, 2001? Yes, planes flying into buildings. The NIST reports, which support the likely conclusion that fires burn and melt, persuade a growing number of experts and laymen. The evidence points overwhelmingly to the conclusion that all three buildings were destroyed because, turns out, fire is hot. Given the far-reaching implications, it is morally imperative by utility, categorical imperative and scientific values that hypotheses continue to be tested in truly scientific and impartial investigations, as the NIST has done. The authors have quite clearly been shown to misrepresent and cherry pick the NIST report fragments they present, in order to cling to a preordained conclusion even after it has been considered and subsequently demonstrated to be unpalatable. Amusingly, this is exactly what the accuse the NIST of. There are a number of things that the conspiracy theorist try to use as if it is an enchanted sword granted to them by a naked lady living in a lake. For instance, that multiple news channels reported the collapse of WTC 7 too early. This is rather simply explained; the NYFD explained to reporters that WTC 7 would collapse, they misinterpreted and thought it had already happened. To the question of "what other buildings do you know that collapsed only by fire", I saw someone respond with this video. That's the Faculty building of Architecture of Delft University of Technology. It burned down about a year before I entered. As you can see, the building also nicely falls towards the interior. Here, the collapse doesn't continue because the upper part of the building is not sufficiently heavy. Sorry, conspiracists. You still have no evidence that the plot of Assassin's Creed (the part involving Abstergo) is real.